How To Prepare Milk Cream - Boil milk and keep aside, If you see after 1 hr, it will make a thin layer on top of the milk, that layer is a magical Milk Cream that is known to do wonders on your skin. To get more cream keep the milk in refrigerator for 3 to 4 hrs. Milk cream contains both fat and proteins, which improves skin health and nourishes the skin deeply and makes it soft and glow. Applying milk cream alone or along with some other natural ingredients can moisturizes your skin and makes you look fresh. Milk cream also protects skin from early aging. 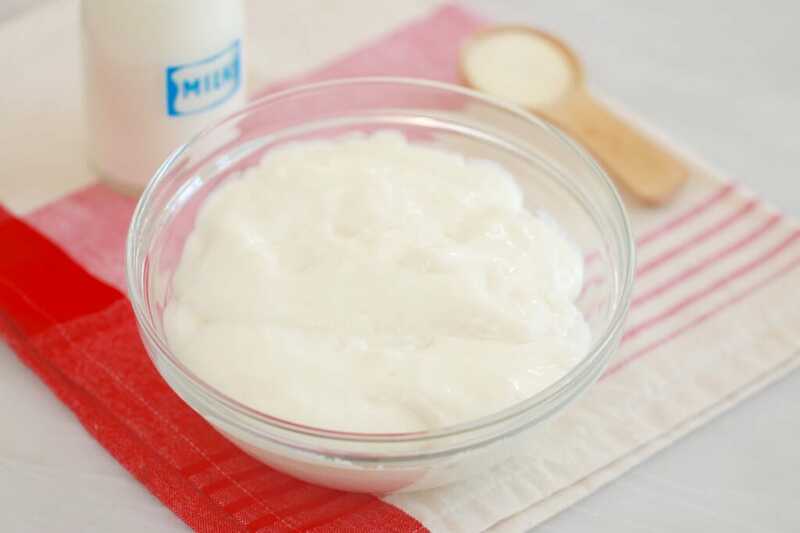 Listed Here some Homemade Milk Cream Face Packs for Soft and Glowing Skin. Mix a teaspoon of milk cream with half lemon juice and massage to your skin for a few minutes then wash it off with water. This you can use as a daily cleanser. Mix all the ingredients in a bowl and apply on your face and neck. Wait till it is dry then genlty massage while taking it off. This is a great face pack to get glowing skin. Milk cream nourishes skin deeply and make it soft and smooth. Turmeric treats pimples by removing excess oil. Rosewater prevent and treats infections and also controls excess oil. Add a tablespoon of sandalwood powder to milk cream along with some rose water in one bowl. Apply this mixture to your total skin or face and neck. Let it sit for about 20 minutes and wash it off with water. Soak few strands of saffron in milk cream for 1 hour. Wash your face with a mild and gentle cleanser and pat dry. Apply the Saffron Milk Cream Pack to your face and neck. Leave it on for 20-30 minutes and wash off with cool water. Blend required amounts of milk cream (malai) and freshly processed aloe vera gel until you get a smooth paste. Apply the face mask on your face and neck using clean fingers or a brush. Leave it for about 30 minutes in order to let your skin properly absorb moisture from the Aloe Vera and Milk Cream mixture. Now, wash it off with lukewarm water and pat dry your face using a soft towel. Take 2 tbsp of rich milk cream in a bowl and mix it with a teaspoon of turmeric powder and honey. Spread the mixture on your face and neck and leave it for 20 to 30 minutes. Wash it off after a massage of 3-5 minutes. Wash it off with a gentle massage. It is a easy and quick face mask to get a fair and glowing skin. Mix bread crumbs with sufficient milk cream and keep it for 2 minutes, with that bread crumbs get soften. Now, gently rub the pack on your face and neck in a circular motion. Let it stay for about 15 minutes before washing it off. Add a few drops of olive oil and a pinch of turmeric to a tablespoon of milk cream (malai) and mix all well. Apply the paste on your face and leave to dry. Wash it off with cold water and pat dry. Kiwifruit also called Chinese gooseberry has many health benefits. By eating these fruits gives you a healthy skin tone, reduce blood pressure and even prevents heart diseases. But, we also use this sweet fruit in face packs too, wonder how? Find below are some best and easy home made kiwi face packs for glowing skin. Why Kiwi Face Packs : Collagen is the support protein system of the skin, it is reliant on vitamin C. Kiwifruits are loaded with Vitamin C along with vitamin E and K which helps to prevent damage caused by the sun, smoke, pollution, and smoothes wrinkles, and improves overall skin texture. Peel the fruit and take the pulp out of the kiwi and blend it. Now add the lemon juice and mix it well. Apply your Kiwi Lemon Face Pack evenly to your face and neck area. Leave this mask for about 15-20 minutes, let it dry completely then wash it off with normal water. Take kiwi and banana pulp into a bowl and blend it with yogurt to make a thick paste. Spread this Kiwi Banana Face Pack thoroughly on your face and neck. Let the pack dry for 20-30 minutes, rub the pack in gentle circular motions before washing it off. Soak the almonds (5 to 6) overnight in water or for an hour in hot water then peel of the skin out of it. Now, add kiwi pulp, besan and almonds in a mixer and make a fine paste. Apply this Kiwi Almond Face Pack on your face and neck and leave it to dry for 20-30 minutes. Wash off thoroughly with cool water. Add a tablespoon of sandalwood powder with a kiwi fruit pulp to make a kiwi sandalwood face mask which helps in removing tan and achieving acne free skin. Add some rose water or water in case the consistency is too thick. Apply Kiwi Sandalwood Pack on your skin and leave it to dry. Wash it off with running tap water. Blend the kiwi pulp by adding lemon juice and olive oil to it. Apply the mixture in a circular motion on your face and neck for 5 minutes. Leave it for 20-30 minutes, and rinse it off with warm water. This Kiwi Olive Oil face pack brings glow to your face. Blend the kiwi pulp and avocado pulp together and make a smooth paste. Take the mixture in a bowl and add 1 tbsp of honey and mix them well. Apply Kiwi Avocado face mask evenly on your face and neck. Let is rest to dry for 15-20 minutes before washing it off with lukewarm water. Take the kiwi pulp and 1 egg yolk into a bowl and stir all together to make a paste. 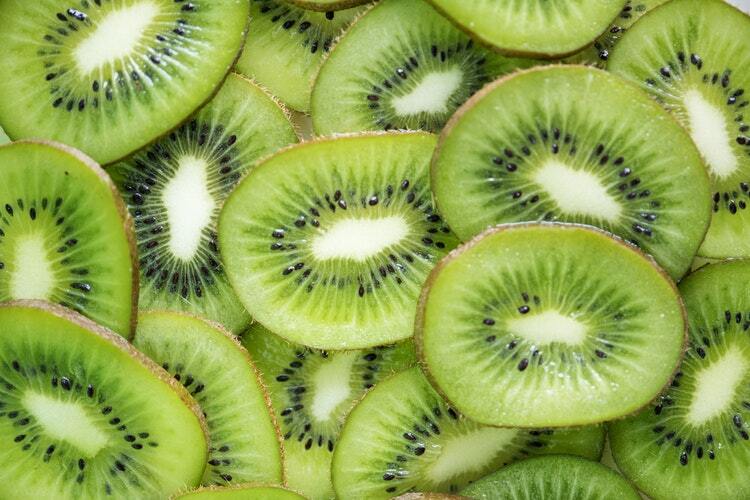 Apply the Kiwi Egg Mask on your face and wash it off with warm water after 15 minutes to get a clean and glowing skin. In a bowl, mash grapes and kiwi together to make a paste. Apply it on to clean skin and let stay it for 20 minutes before rinsing it off with lukewarm water. Kiwi Grapes Face pack prevents aging and makes your skin feel fresh and glowing.